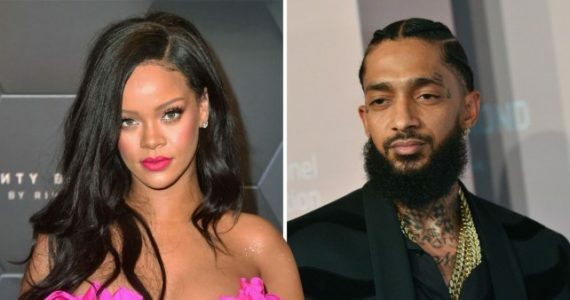 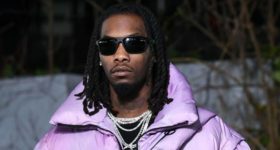 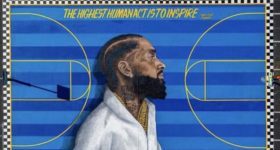 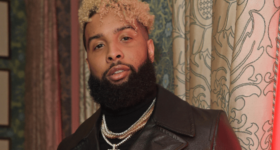 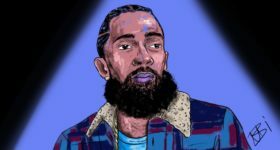 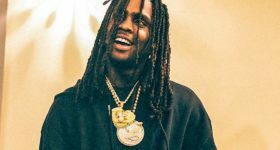 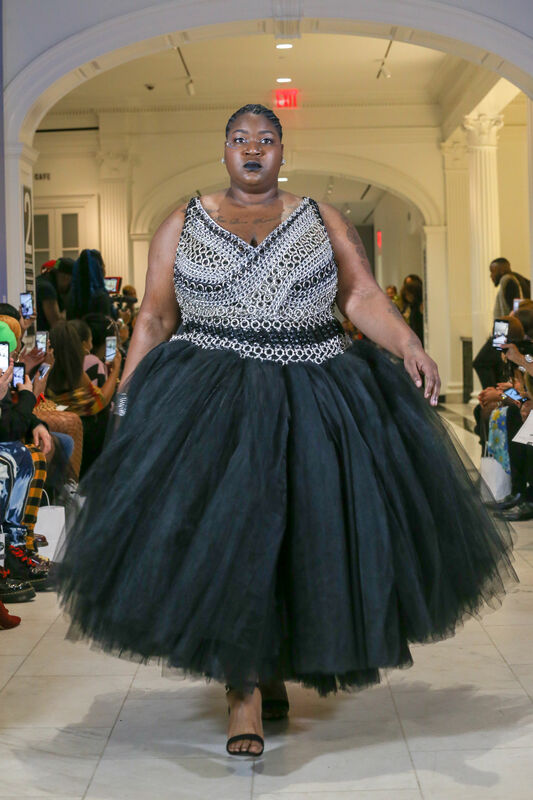 In a culture in which many celebrities and influencers are encouraging others to boycott high-end fashion brands such as Gucci and Prada and another instead opting to move on to another high-end fashion brand such as Fendi, this past Saturday at the Museum of the City of New York, Harlem Fashion Week showed not only myself but the many individuals in attendance how beautiful black-owned fashion can be when we all come together to support our fellow designers and models that can present a garment like no other. 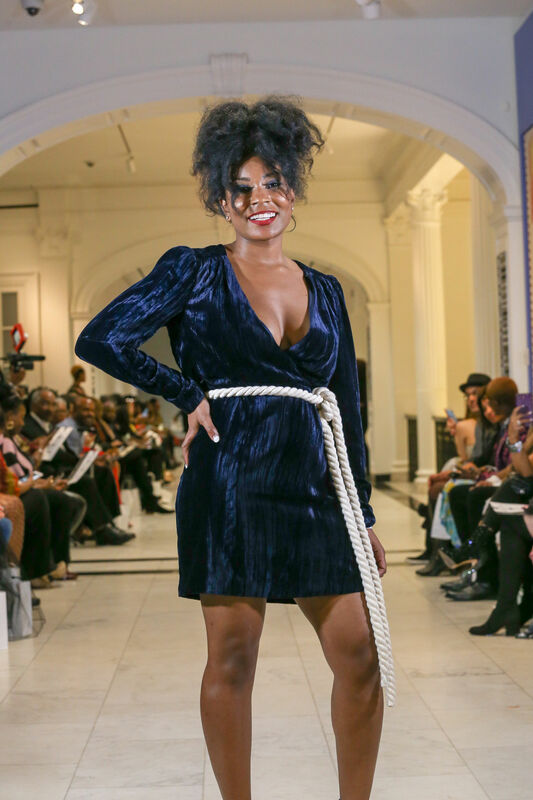 I was privy to attend the 9:30 PM lineup of shows featuring Shangani Fashion, RubyDawn International, LINKS BY GWEN, The Meraki Label, and Culture Trees Designs. 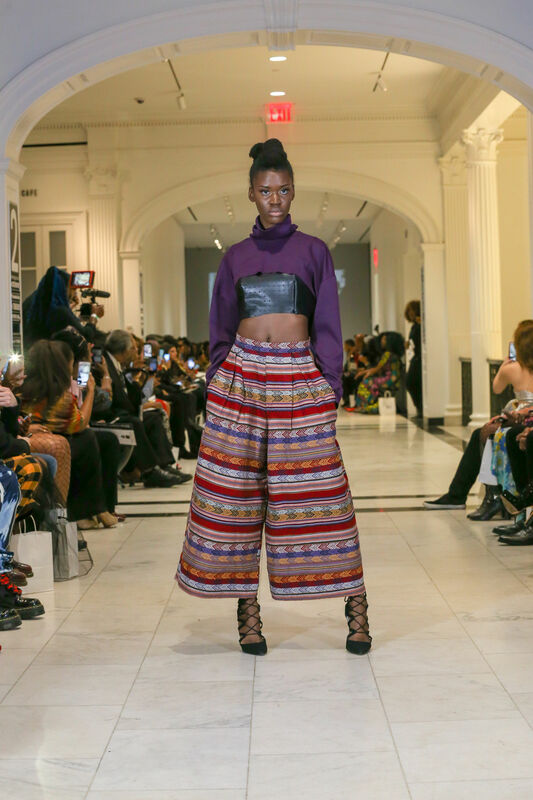 The slogan for this designer label is “Where African Tradition Meets Fashion. 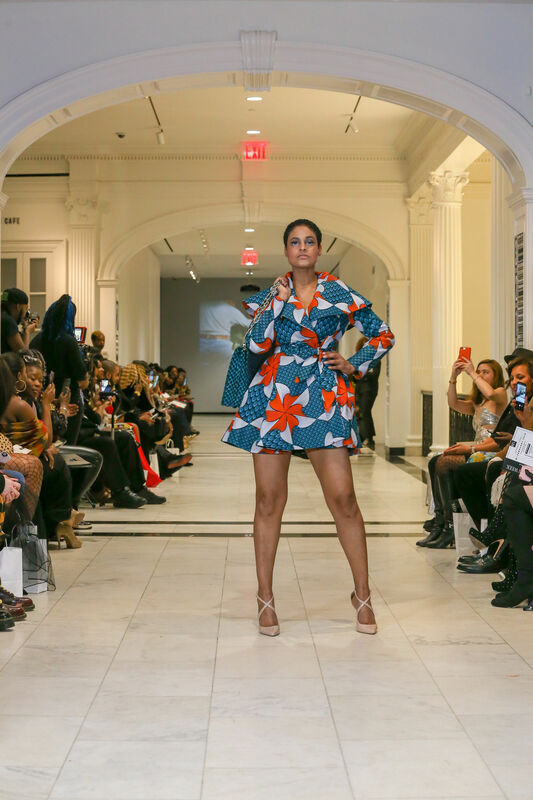 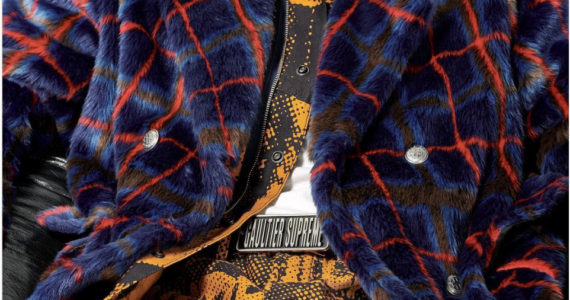 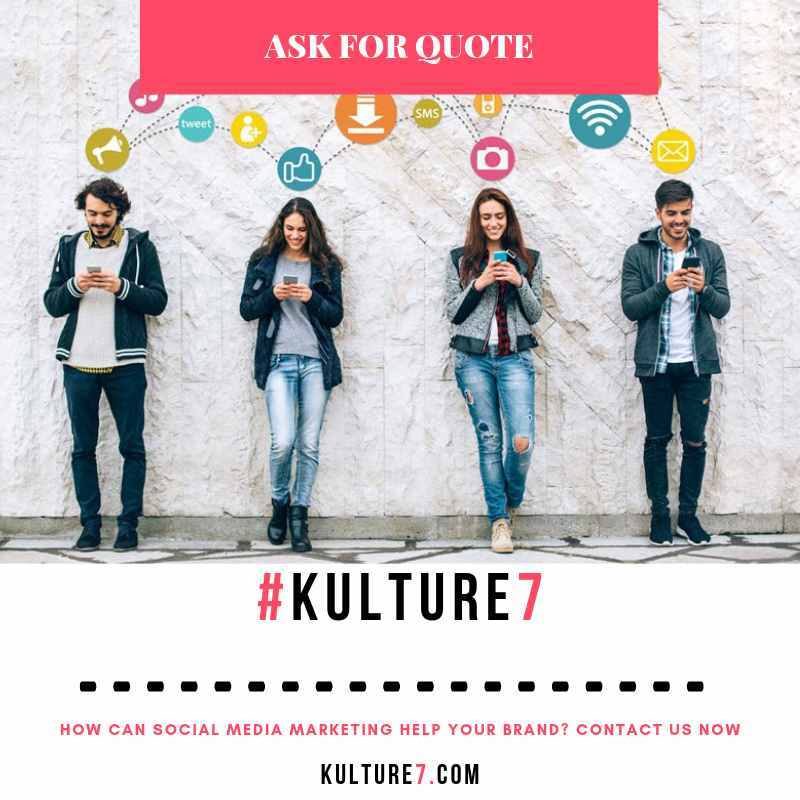 This collection featured Afro-centric design patterns but not in the form of traditional African garments or trendy pieces in the urban community such as Dashiki shirts. 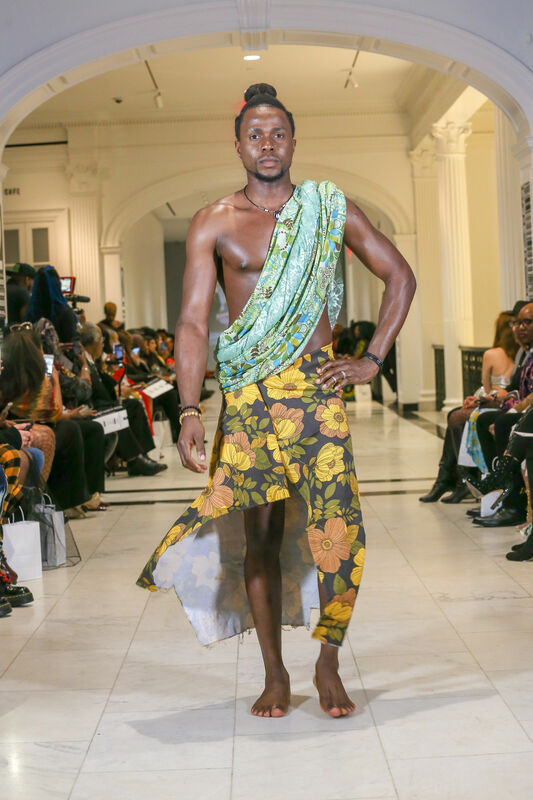 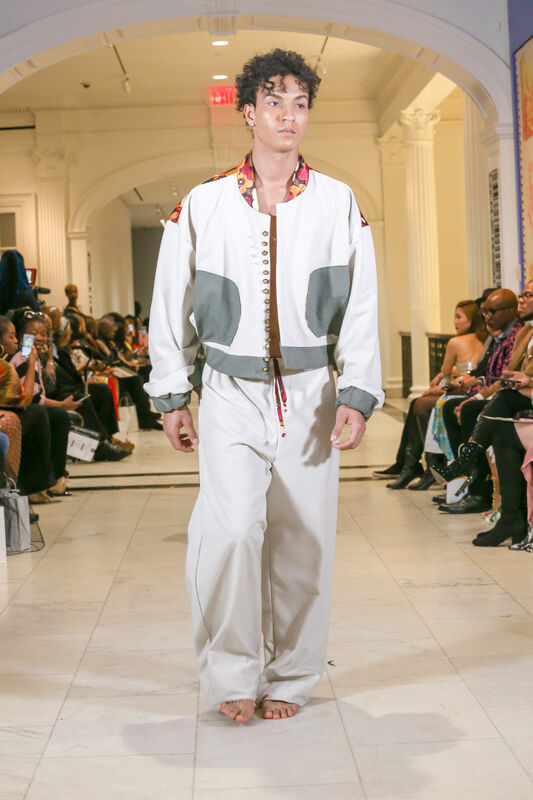 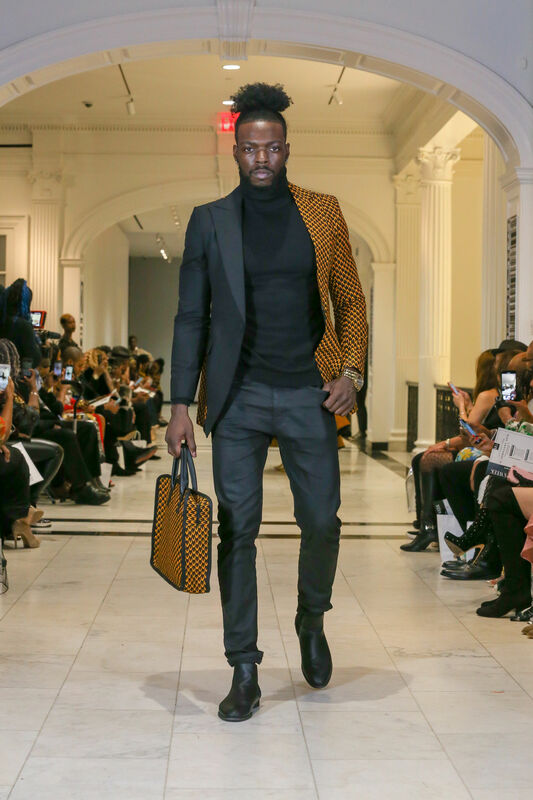 Instead, Shangani Fashion presented a collection that is not only rich in African tradition but also fashionable and chic for men and women alike from tailored slim fit blazers for men and oversized coats with fur collars and wide-legged pants for women. 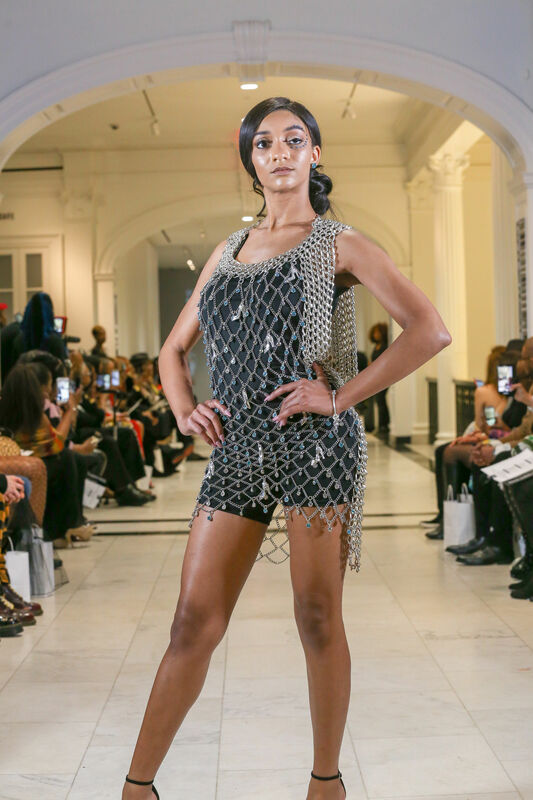 Next on the docket was designer Gwen Hodges and her LINKS BY GWEN designer label. 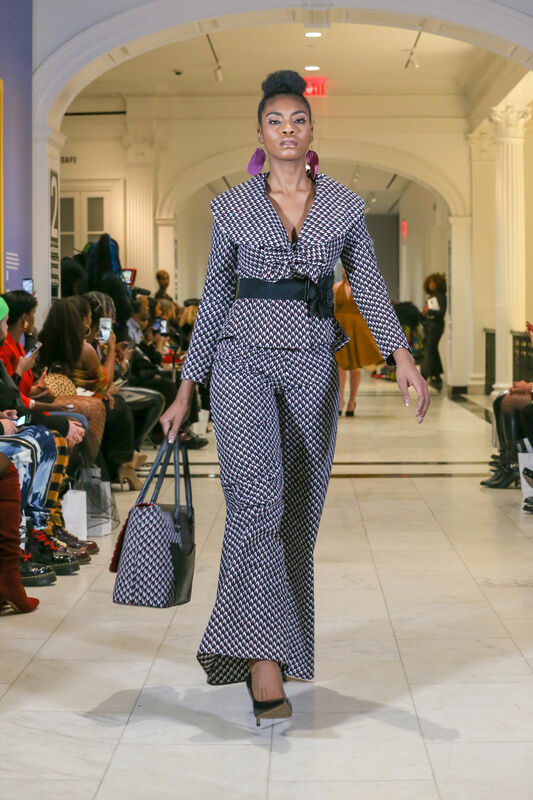 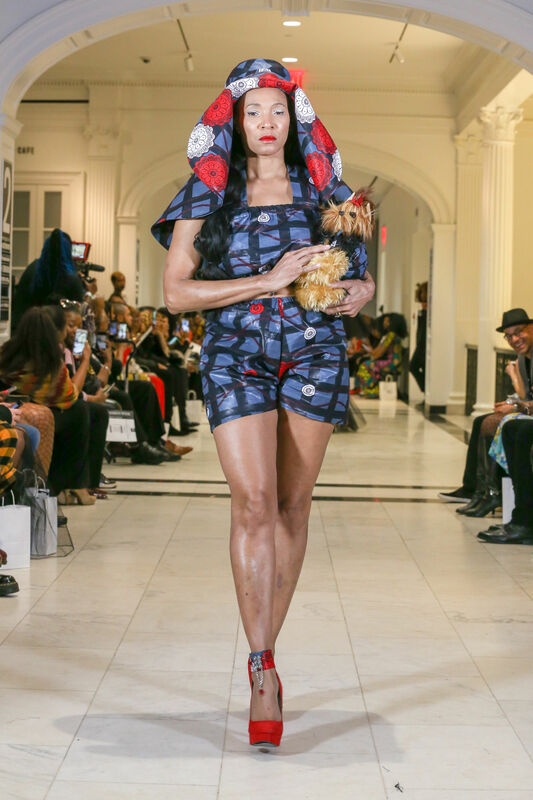 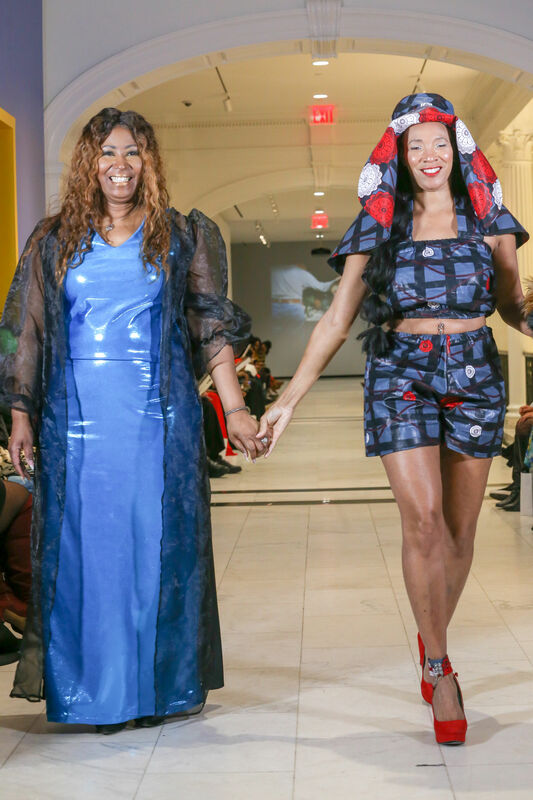 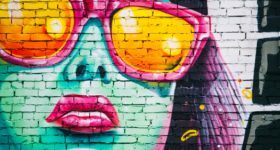 LINKS BY GWEN lives by their vision of “linking talent with love” and that vision most certainly came to the life on the runway with all of the energy that exuded on the runway. 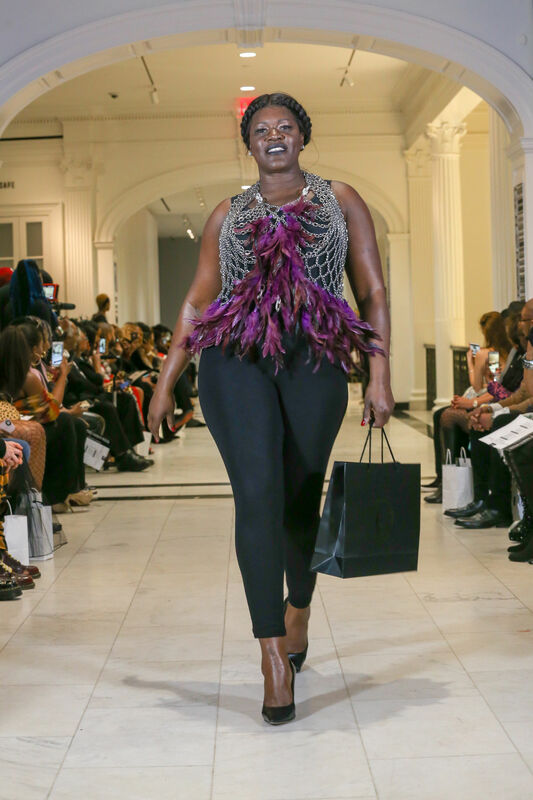 The collection featured garments made out of gold and silver halter chain tops with some tops embroidered with colorful tassels starting at the chest area going down towards the torso and tops with pearls on the shoulder area. 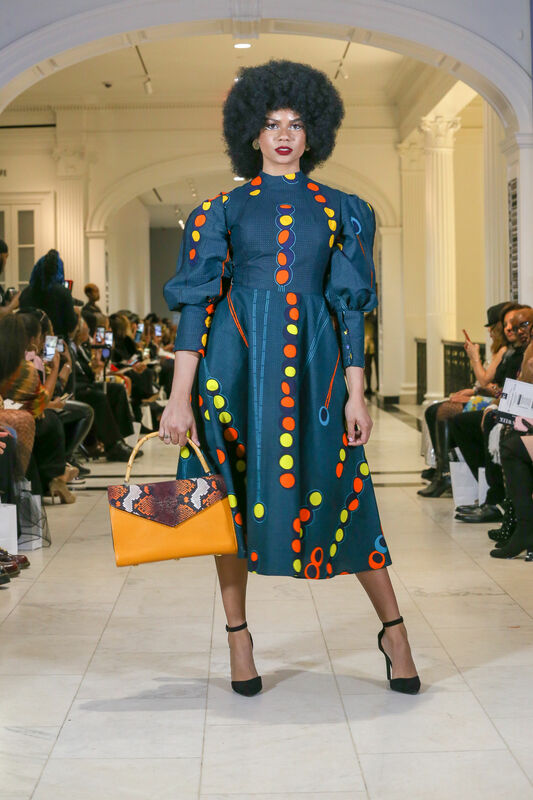 RubyDawn International is “A socially conscious & authentically Afrocentric High Fashion Design Line” and they make no apologies for it and should not. 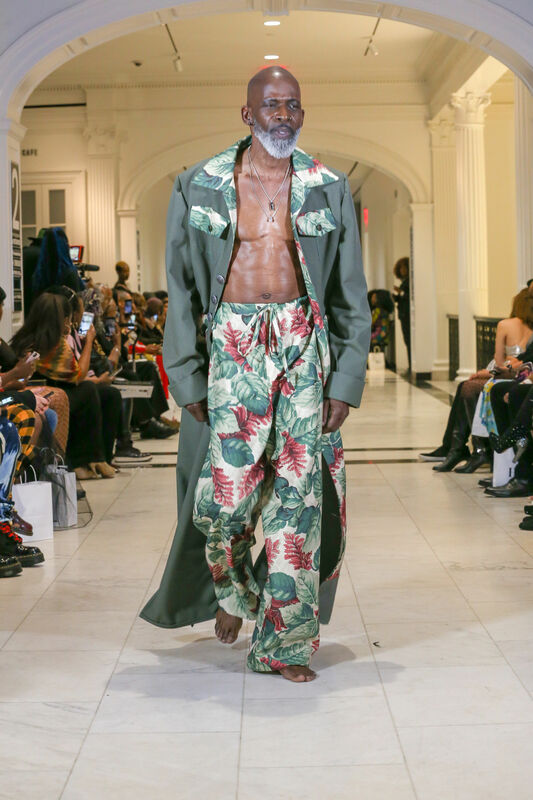 This six-piece Men’s fashion collection had a nice naturistic feel with the usage of vibrant colors and floral print designs on oversized coats and wide legged trousers. 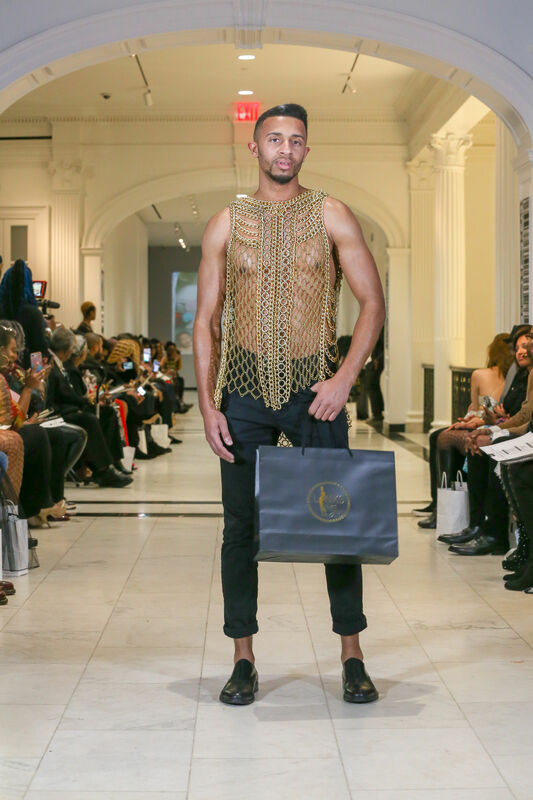 Clothing is supposed to make every day feel extraordinary. 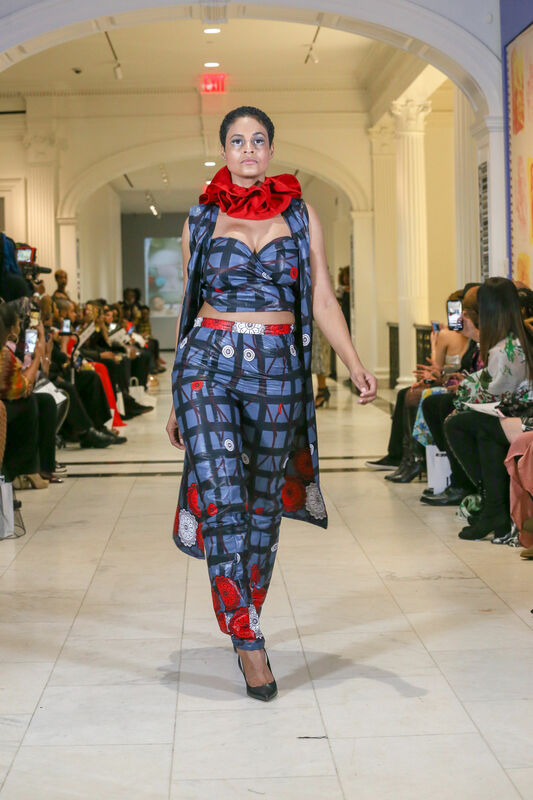 That is the motto that Darah, the woman behind The Meraki Label believes in wholeheartedly for her brand. 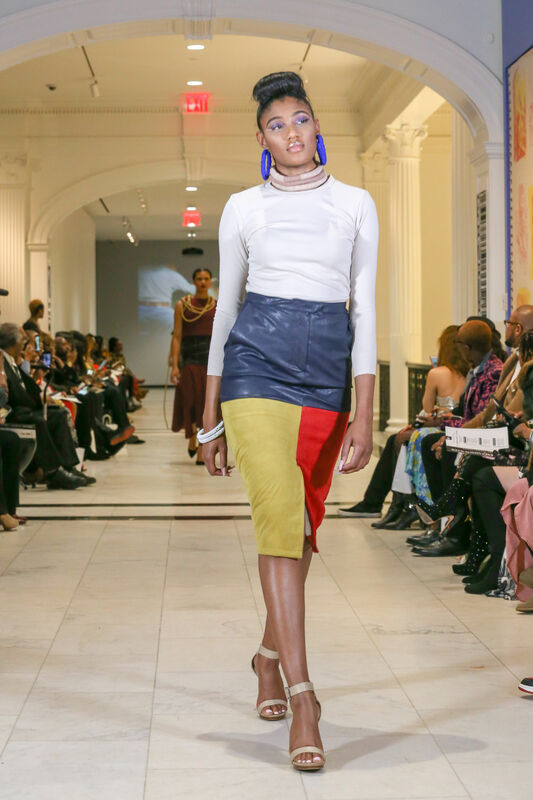 The color that stood out the most in this collection was the color blue. 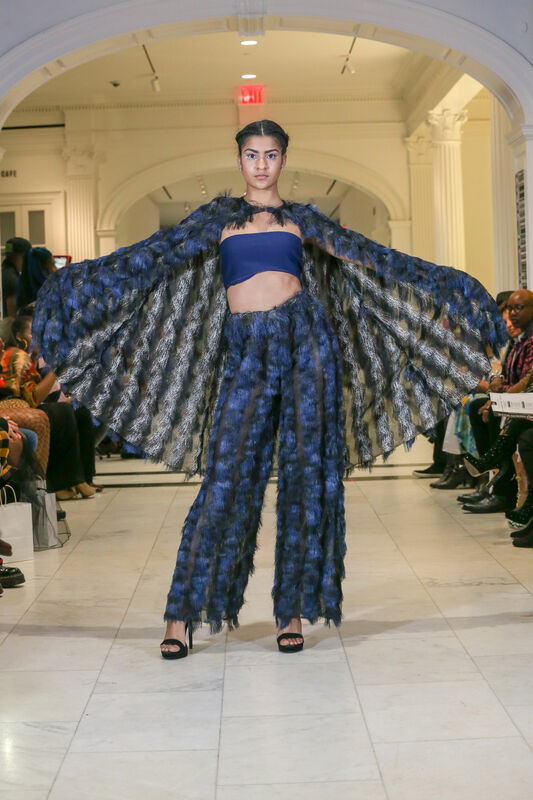 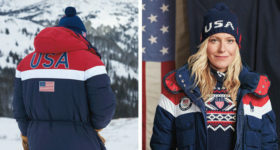 Blue was featured in everything from one piece bathing suits, tassel pencil skirts, and wide-legged feather pants and capes. 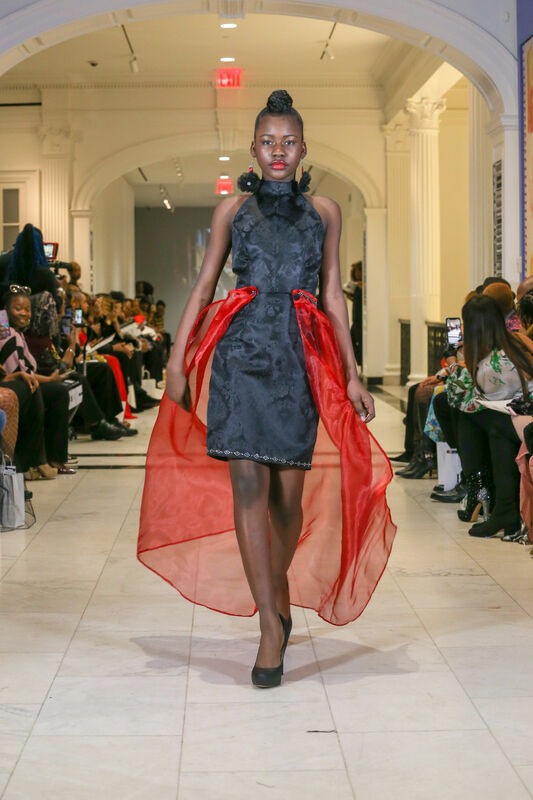 Each hand made garment was catered to accordingly and it shows in the quality that was featured on the runway. 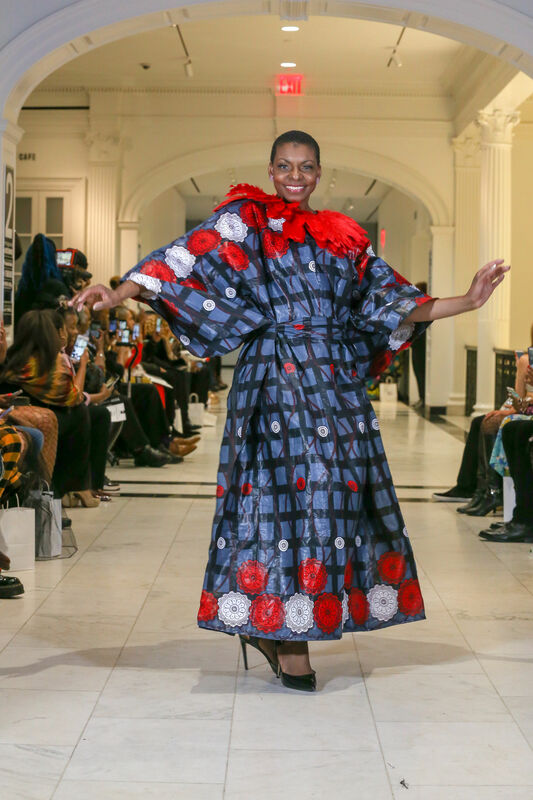 Culture Tree Designs is all about designing clothing for “the Royalty in you”. 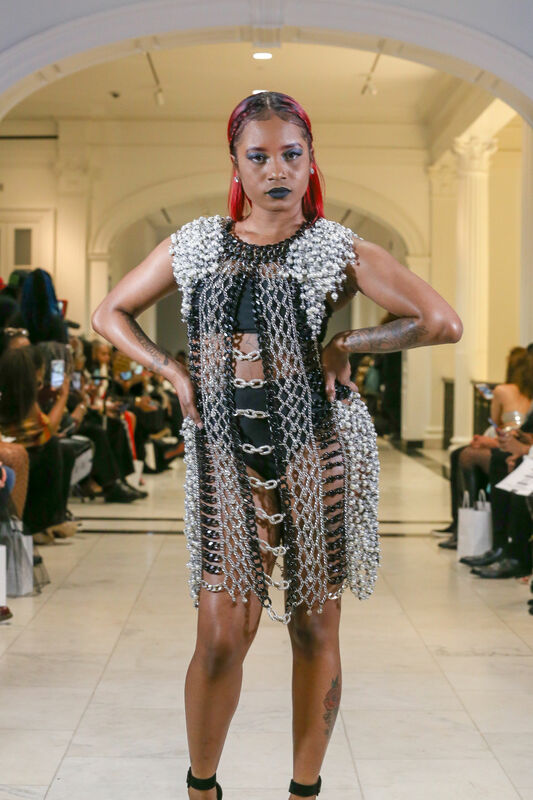 Culture Tree Designs Fall/Winter 2019 is a collection for the black queen. 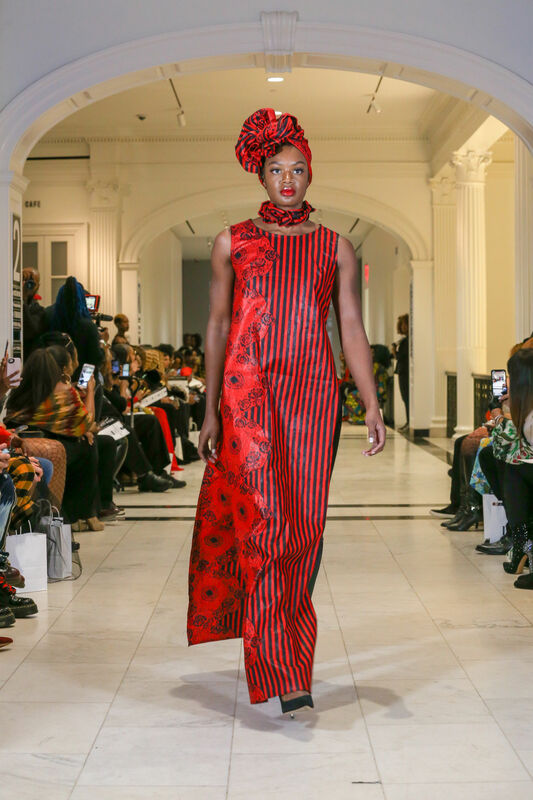 From the Afrocentric prints to the African eccentric headwear, this is a collection that is not only elegant and regal with African Culture but is sure to make any woman wearing it feel like royalty. 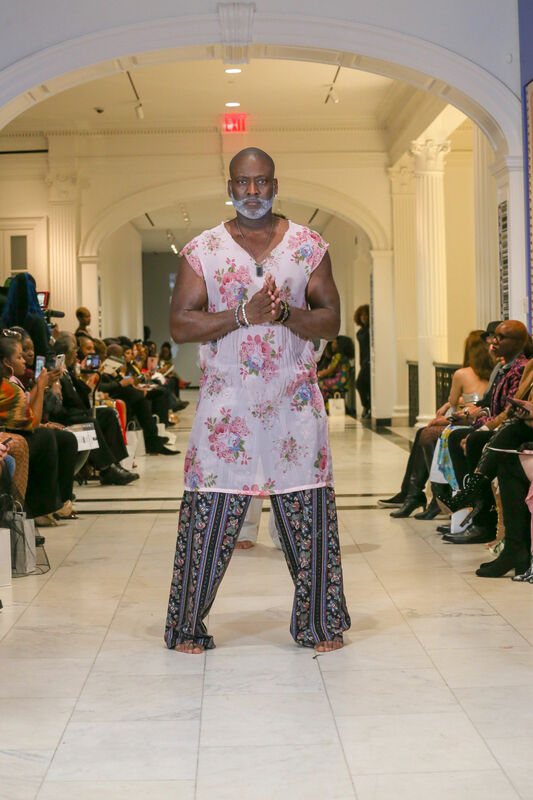 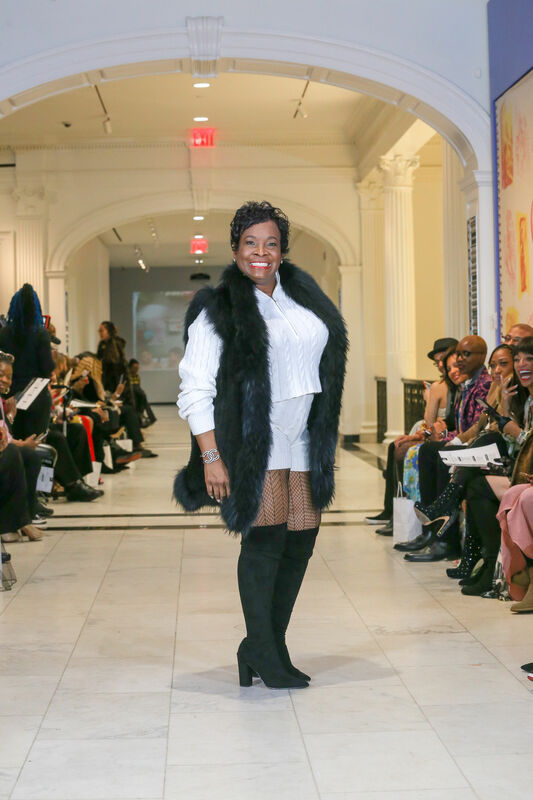 Overall, Harlem Fashion Week 2019 was a wonderful experience. 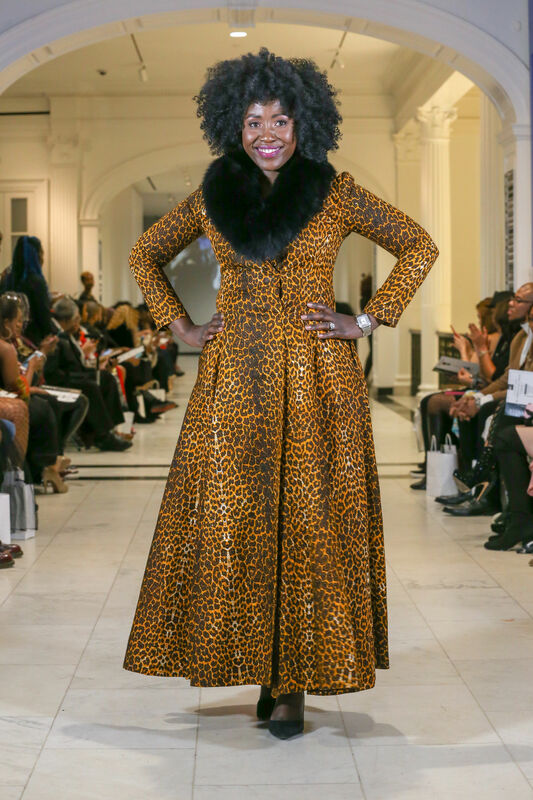 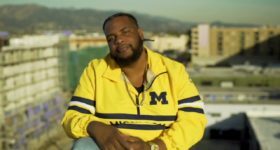 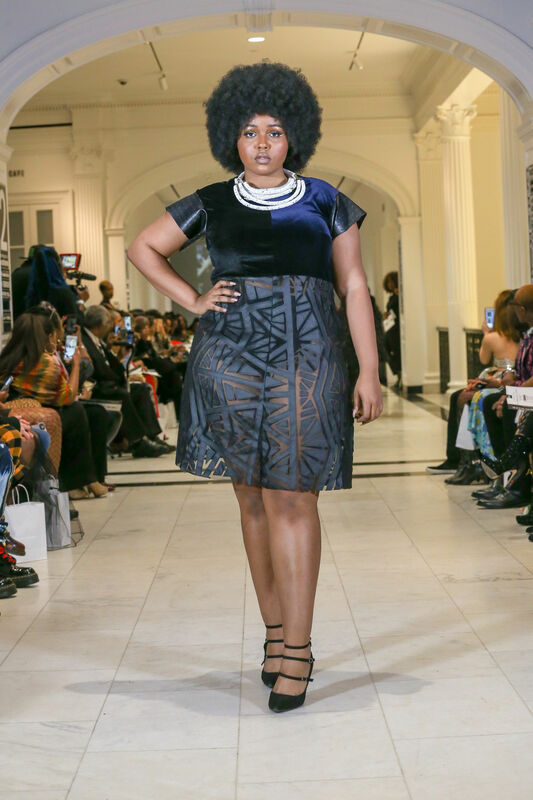 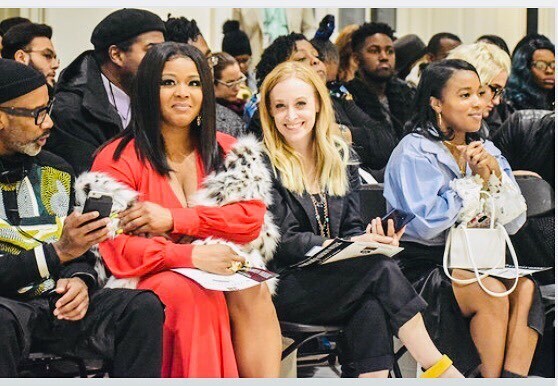 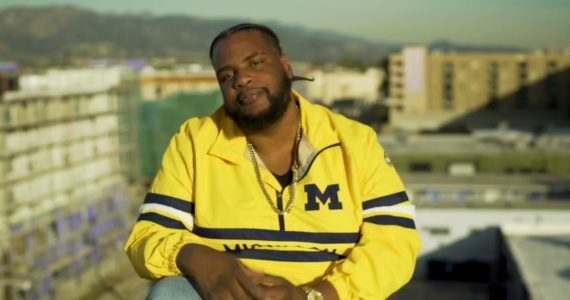 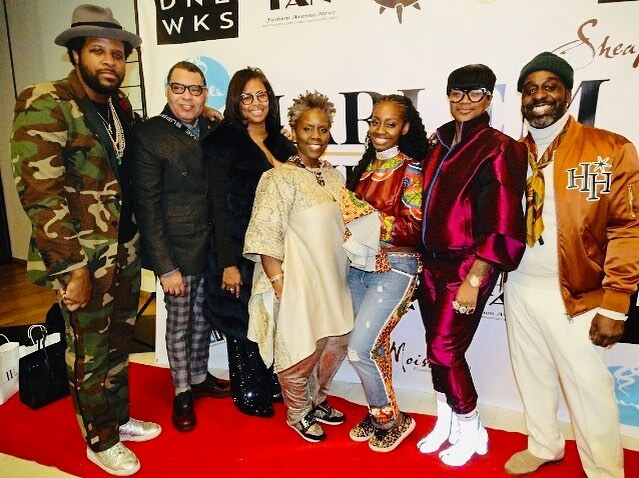 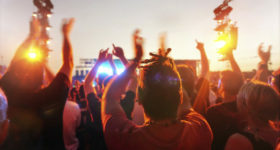 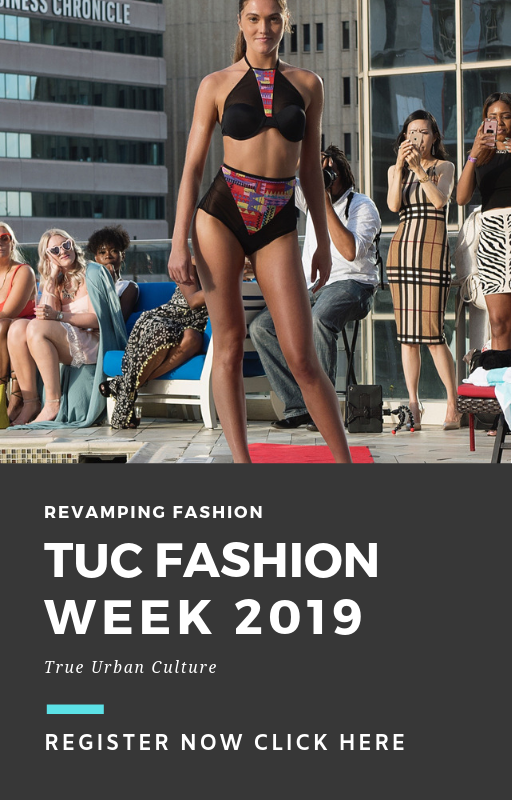 From the African American fashion influencers that were honored in attendance, the dress to the nines guest in attendance, and fashion collections that are rich in quality. 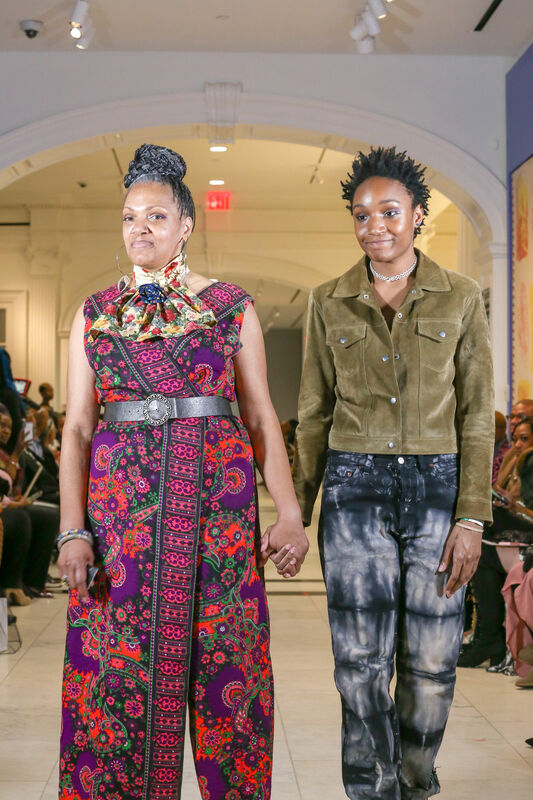 Harlem Fashion Week showed why black fashion should be embraced by everyone from fashion influencers and celebrities alike.